Are you ready for 4 more things you never have to worry about? If you need wisdom, ask our generous God, and he will give it to you. He will not rebuke you for asking. But when you ask him, be sure that your faith is in God alone. Do not waver, for a person with divided loyalty is as unsettled as a wave of the sea that is blown and tossed by the wind (NLT). And He will make your paths straight (NASB). 2. You never need to worry about meeting a godly husband because God’s ways and timing are perfect. Psalm 18:30 says: “As for God, his way is perfect: The Lord’s word is flawless; he shields all who take refuge in him.” I find in this verse a very special guarantee. If God hasn’t yet brought someone into your life, He is definitely “shielding” you from what you don’t yet see. I find it interesting, too, that God is also described as a “shield” in Psalm 84:11 which promises that “no good thing will He withhold from those that walk uprightly.” Just as you see “meeting a godly husband” as a reward from God, see His ability to “shield” and protect you from a husband as just as much of a reward. 3. You never need to worry about unsaved family members because Scripture assures us “The Lord is not slow about His promise, as some count slowness, but is patient toward you, not wishing for any to perish but for all to come to repentance” (2 Peter 3:9). Ask God for the privilege of being a part of His plan to reach them, either through your words or your prayers. And then pray for their salvation with 1 John 5:14-15 in mind which promises that “if we ask anything according to His will, he hears us. And if we know that he hears us in whatever we ask, we know that we have the requests which we have asked form Him.” Pretty big promise. But He’s a pretty big God. 4. You never need to worry that God doesn’t hear you or has forgotten about you (Isaiah 49:15-16). Just like in No. 2 and No. 3 above, God is your SHIELD as you ask for His blessings, by faith. He will not allow anything to come into your life that is not absolutely best for you. 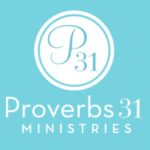 Sometimes a “no” answer means “Wait, the timing isn’t yet right.” Sometimes it means “Not this…I have something far better.” And sometimes it means “I am protecting you by with holding this, even though you may never understand.” Sometimes, God’s best gifts to us are the very things He withholds. 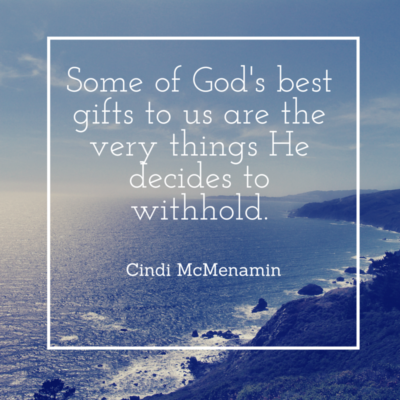 When God’s gift is “no” you can be assured He is still God. He is still Good. And He still has your best at heart. Don’t worry about anything; instead, pray about everything. Tell God what you need, and thank him for all he has done. Then you will experience God’s peace, which exceeds anything we can understand. His peace will guard your hearts and minds as you live in Christ Jesus” (NLT). There really is truth in praying about it and experiencing His peace in return. on 4 More Things You Never Have to Worry About. Thank you for this! I love what you wrote, AND all the powerful Bible verses. I have worried about my family’s salvation, and I’m trusting God more, but still need to completely give this burden to Him. Sometimes I don’t know when to be silent and when to say something to them, and/or invite them to church or Bible studies (or if I just shouldn’t ever). I try to follow the Holy Spirit’s leading. One of my fears is elevators. If I knew 100% it was going to open I wouldn’t be afraid, but I hear of people getting trapped in elevators and I have struggled with panic attacks where it feels like I have shortness of breath, so I think it would be hard to be trapped in a small space. I work on the 3rd floor and I only take the stairs. I’m fearful for the end of times (if they are in our lifetime), especially the thought of being put in a jail cell. And it’s slowly coming. I heard of a Christian man who feeds the homeless in Florida, and in florida they have a new law where it’s against the law to feed the homeless, so if I remember correct (from an article) he may have been arrested because he wouldn’t stop feeding the homeless. Also I’m fearful of some things that many people dream of: big house, lots of money, and fame. Fearful of pride and the possibility that I could slowly fall away from God (unknowingly). My husband and I both love tiny houses, and we are thankful that God probably won’t ever force us to have a big house. I think I need to meditate on Bible verses on fear. LOL! 😀 I didn’t realize I had so many. Thanks for your comments, Amber. And about the fear of elevators…by taking the stairs, you’re just being more healthy than most of us. 🙂 I love the blog you wrote awhile back about Philippians 4:6-7…and your thoughts, as well, on worrying about nothing and instead, praying about everything. As we turn our fear into a dependence on God, we can grow closer to Him through whatever concerns us in this world. Thanks again for sharing your thoughts. Thank you ever so much for this post!! This IS EXACTLY what I needed to be reminded of at this stage in my life. Although I believe that GOD wants the best for me, it often becomes difficult to maintain this mindset when I am faced with the hard circumstance I am in right now. I have been asking GOD for some answers as to how my attitude should be or what I should be praying for. I have found myself unemployed and separated from my husband due to his abuse. I began to believe that GOD was punishing or disciplining me because I married him. He presented as being a believer but later said that he did so because he knew I wouldn’t marry him otherwise. I also recognize that I married him out of pity and compassion. After leaving my government job of 11 years to live with him in another state, I had to return to my family because of his issues with alcohol and abuse. I know GOD has me in this current place; however, I am uncertain as to what I need to do. I prayed this last night and early this morning for GOD to give me some answers as to what to do. After reading this post, I know that #1 and #4 was definitely answers I needed. As for #2 and #3, although I have forgiven my husband for the abuse, he has since expressed and demonstrated that he “doesn’t want to be a husband because it’s too much work”. I love the institution of marriage and what it represents and I do hope that GOD sees fit for me to remarry. Regarding my unsaved family members, I believe that GOD will fulfill his promise for unsaved family to come to Christ. Again, Thank GOD for you and allowing HIM to use you to give such an on-time WORD because it is truly a blessing to me!! Thank you, Toni, for your encouraging comment that this blog post came at the perfect time. I love how God engineers the timing of what He lays on my heart to write, as well as the power of His Word in Scripture, to penetrate the hearts for which it was intended. I am humbled and grateful to be an instrument through which He can make His love and direction evident to you.